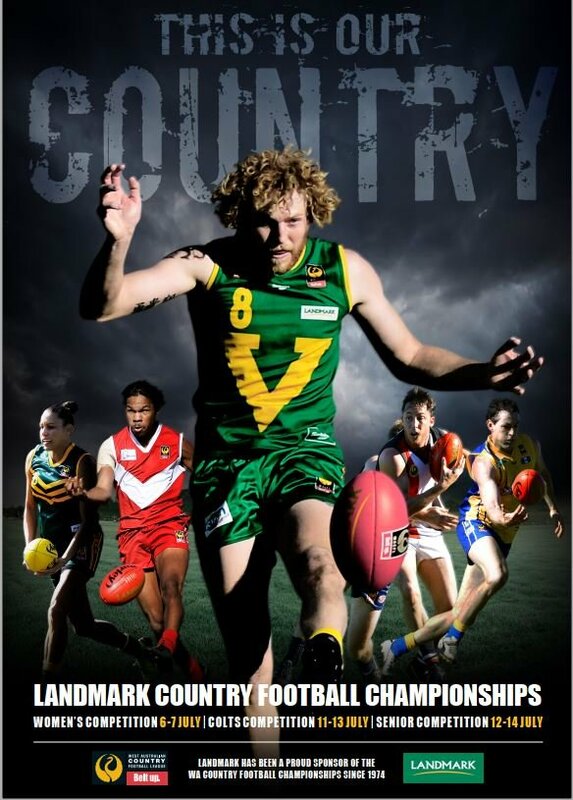 Division 3 returns to this years Landmark Country Championships on the back of the change in format for 2018. In an exciting addition this has allowed for the re-introduction of the Regional Allstars side into the carnival. 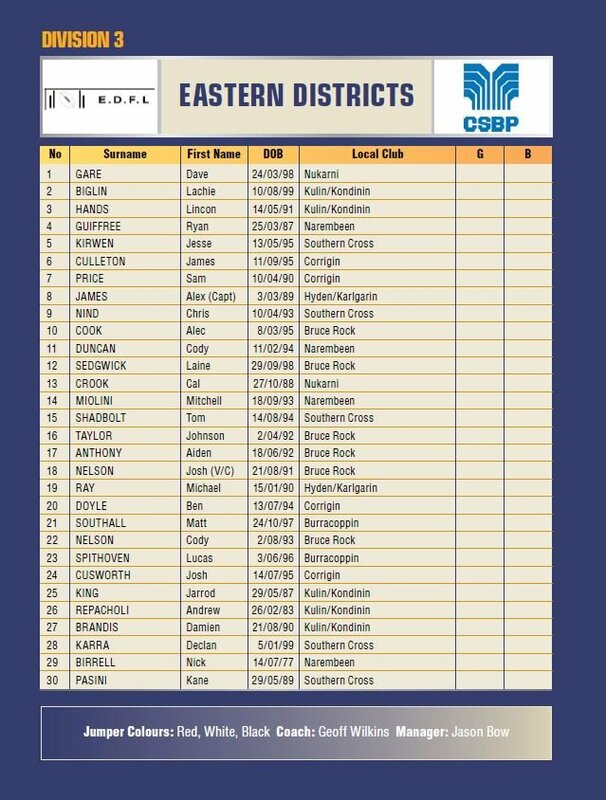 The Regional Allstars side comprises of players from non-competing leagues in Newman, Ravensthorpe, Hills, Onshore Cup, North Pilbara, Gascoyne, Esperance and West Kimberley come together for what will, in some cases, be their first taste of Landmark Country Championship Football. 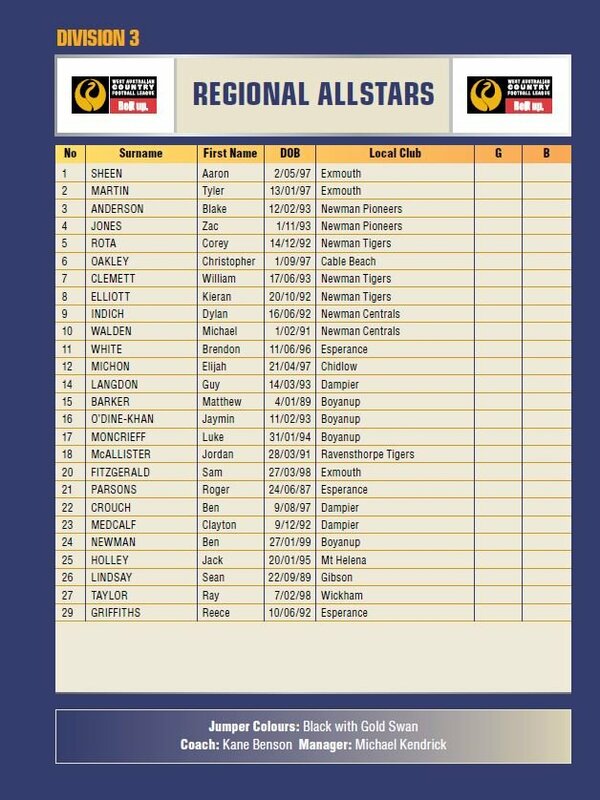 The squad, lead by WAFC Manager of Coaching Kane Benson, includes Cable Beach midfielder CJ Oakley, Dampier's Guy Langdon and 2016 State Country representative Jordan McAllister who currently plays for the Tigrs in Ravensthorpe. They are certainly the unknown component of Divsion 3 but a fantastic opportuntiy to involve all of Regional WA in the championships. Eastern Districts and Great Southern have both floated in and out of Division 2 and 3 over the last few years and will both be eager to ensure they are giving themselves the best chance of promtion by claiming the title on Sunday. Geoff Wilkins takes the helm of an Eastern Districts side that looks to be primed for a good carnival. 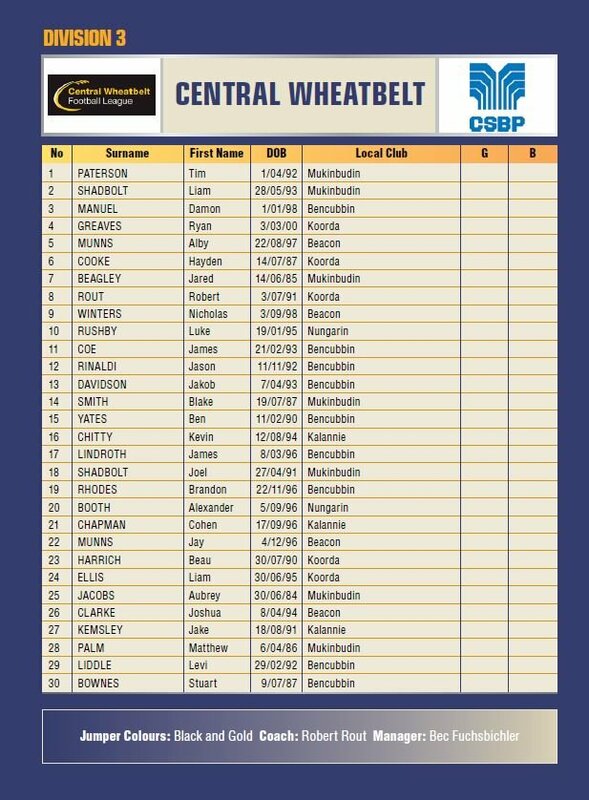 Bruce Rock brothers Josh and Cody Nelson have both had State Country exposure whilst skipper Alex James and James Culleton will be key players through the middle of the ground. 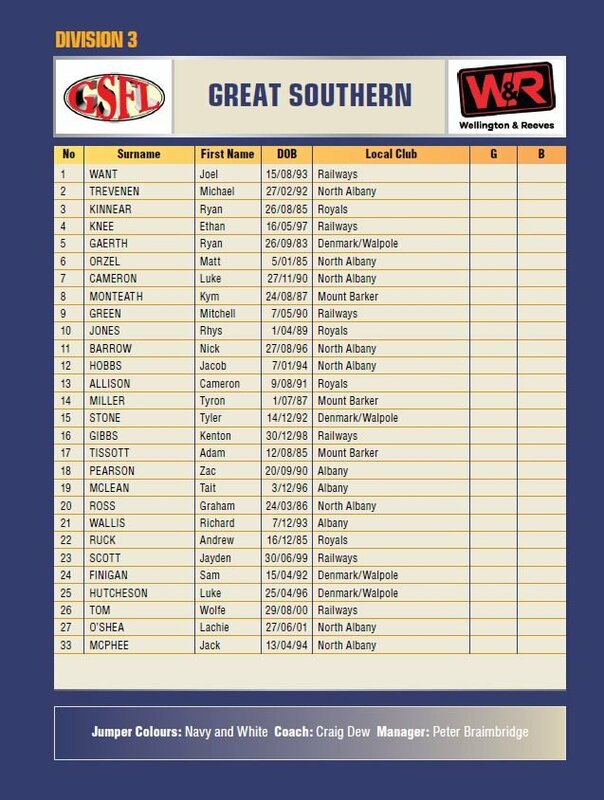 After a disappointing 2017 carnival the Great Southern have plenty to prove as they push to climb throught the ranks. A change at the helm sees Craig Dew assume the coaching duties and he has pulled togther a squad that includes plenty of depth. 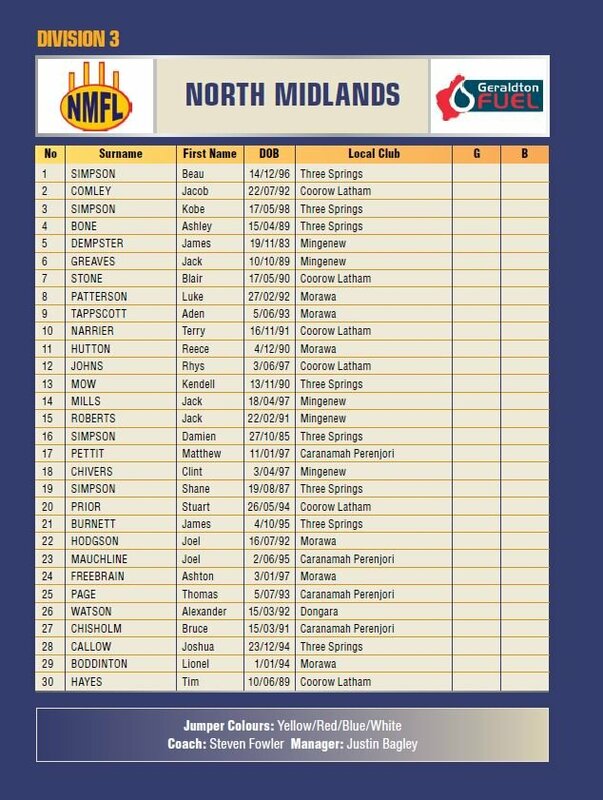 Matt Orzel, Andrew Ruck, Mitch Green and Kym Monteath all have plenty of WAFL experience and will be vital to their chances of making the decider whilst veteran wingman Ryan Kinnear and the versatile Graham Ross add plenty of carnival experince to the squad. 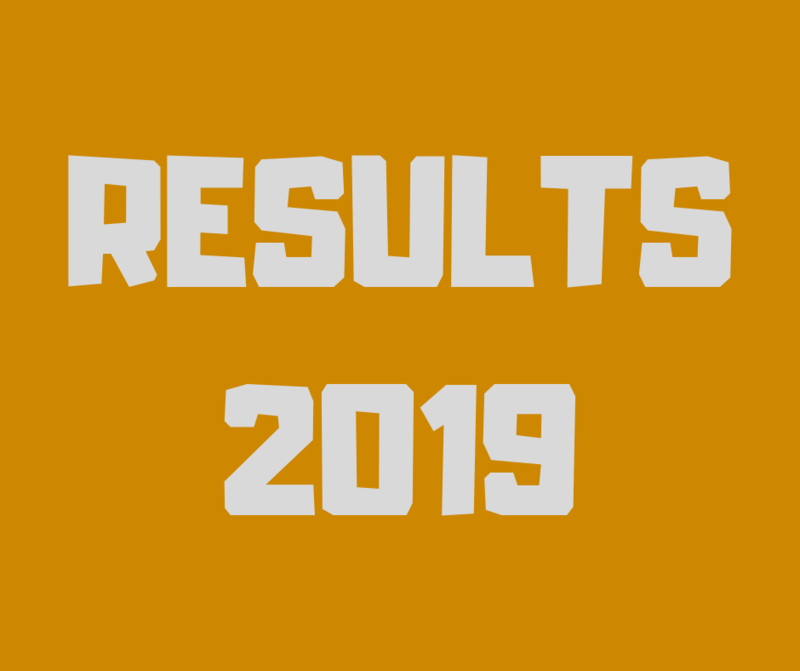 North Midlands failed to win a game in 2017 and enter this years carnival with a sense of optimison that their time is now. 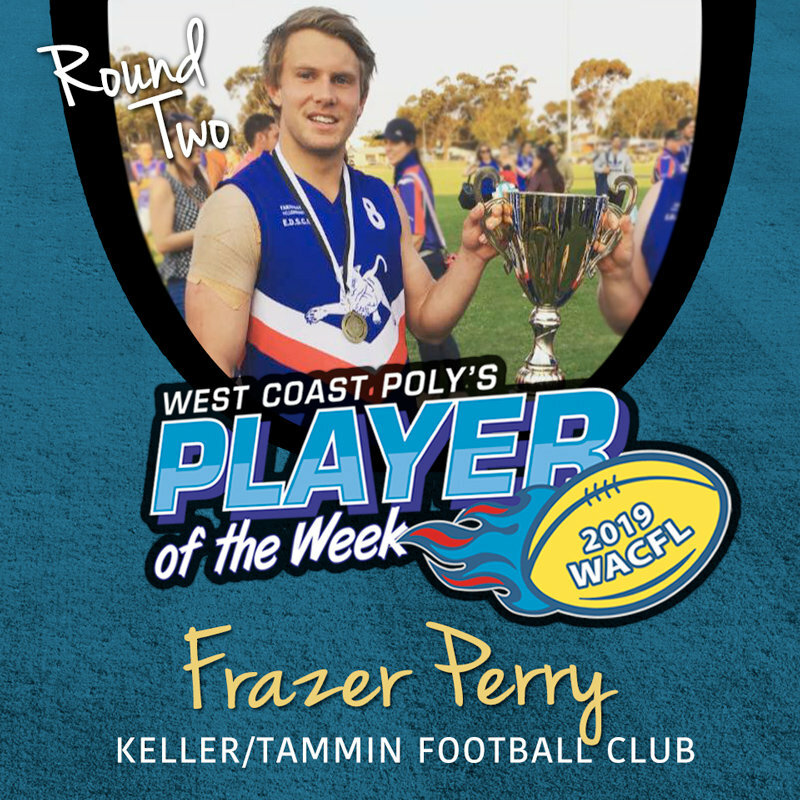 Steven Fowler takes the reigns and will rely on an even performance across the board if they are to push on towards a finals berth. Terry Narrier and Clint Chivers are names to keep an eye out for alongside the two Simpsons, Beau and Kobe. 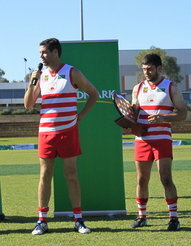 The fifth team to roundout the Division is the Central Wheatbelt Football League. Playing Coach Robert Rout will led the side that last claimed the title in 2012. Mukinbudin duo Blake Smith and Aubrey Jacobs will be vital to their chances alonside Kevin Chitty (Kalannie) and Ben Yates (Bencubbin). Their is plenty on the line with all five sides looking to progress their way up through the Divisions.